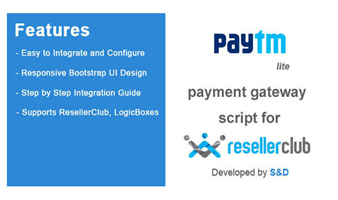 This script helps you to accept Online payments through Paytm payment gateway on your Supersite storefront and Orderbox control panels with providers such as ResellerClub, and LogicBoxes. 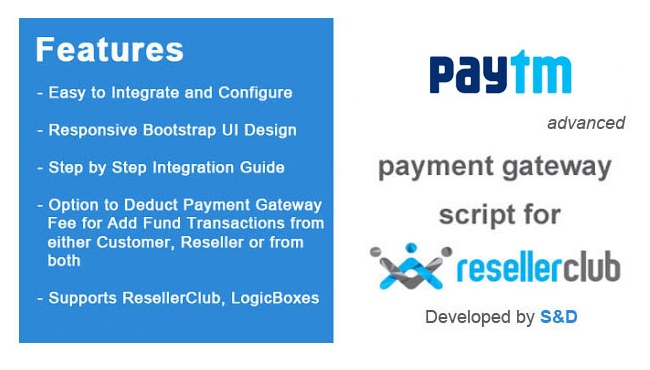 Additionally, there are options to deduct payment gateway fee for Add fund transactions from either Customer, Reseller, or from both. Customer support was prompt! They performed the task professionally!